If you were to walk past Cuco in the street, you would be forgiven if you were to not give him any notice. There is nothing in his long black hair, black-framed glasses, and long sleeve tees that would suggest he’s anything other than a regular Latinx 19-year-old. However, just beyond the unassuming exterior is a musician whose wistful, synth-inflected ballads have exploded online and made him one of the most popular young Latinx artists in a short span of time. 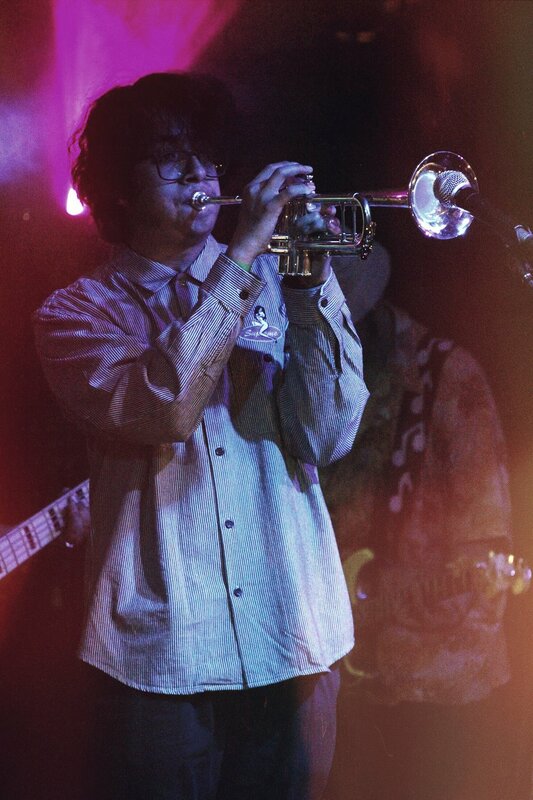 Cuco, real name Omar Banos, hails from the city of Hawthorne in southwest Los Angeles and began playing music at a young age, picking up the trumpet, guitar, drums, and keyboard. In 2015 he began posting his first tracks on Soundcloud, quickly dropping his debut mixtape “Wannabewithu” the following year. While these early tracks are a bit rough, Banos’ talent as a songwriter was already evident. Last year saw the release of his debut full-length album “Songs4u,” and with it a noticeable improvement in production, yielding songs that were much more polished. A pair of singles released after the album’s debut,” Lo Que Siento” and “Sunnyside,” have kept fans sated—the latter of which currently has 5.8 million streams on Spotify and an additional 1.7 million on Soundcloud alone. The music Cuco crafts sounds like a ’60s R&B singer, introduced to early ’80s New Wave, by way of way of circa-2009 Chillwave music. Rolling synth lines and sharp hip-hop drum machine beats are the foundation for many of the songs. While Banos’ double-tracked vocals do not have substantial range, he has the ability to imbue powerful emotional feeling in his performance. One underrated aspect in many of the tracks is the horn and string arrangements, which cut through the track but feel like a natural extension and accompaniment to the song rather than an afterthought or bridge between two sections. Lyrically Cuco’s songs are overwhelmingly about feelings, whether it be love, heartbreak, or somewhere in between. Banos pours out his heart and wears it on his sleeve, displaying an emotional sensitivity not seen in most 19-year-olds. While this quality at the surface may draw comparisons to artists like Drake, who use sentimentality sometimes in excess and other times as a gimmick, Cuco displays enough artistry to be pursuing the likes of Frank Ocean or Morrissey. Like those two, Banos has realized he doesn’t have to sing about his feelings in an overly-sexualized or masculine way. He’s trying to show he is firmly on the side of “an artist with emotions creating music” rather than “a singer who sings about their emotions,” which is a small but critical distinction. One of the driving forces in helping Cuco reach this point in his career has been the intense support of his female fans, particularly young Latinas. They pack out Cuco’s venues and sing every lyric at the top of their lungs. While it is easy to belittle and ridicule what critics may characterize as “fangirls and their latest pop obsession”, let us not forget who the earliest ardent supporters of The Beatles were. Update: 3/1/18 - We were able to catch his SOLD OUT show at The Mohawk in Austin, Texas this week. 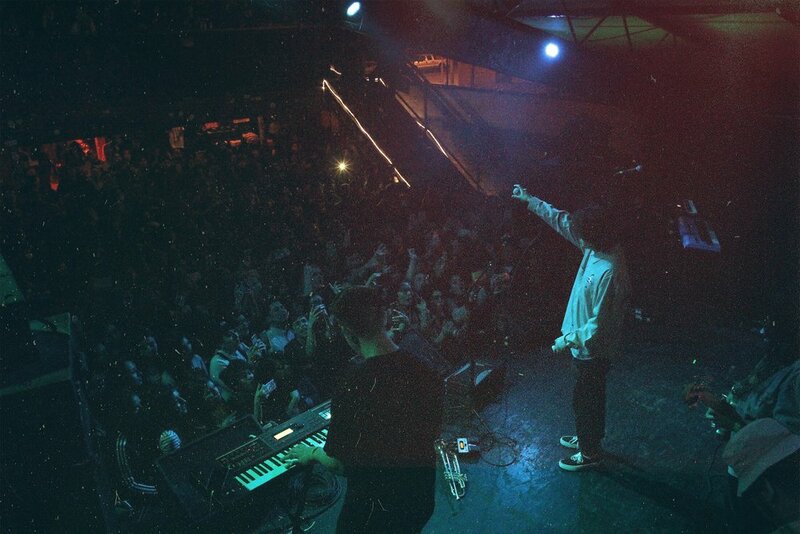 Cuco commented on how it was one of his largest shows to date and it was an amazing show that had fans waiting in line for hours just to be up front. We were able to get some photos from the show. Check them out below.